It has been confirmed in the 50th Anniversary trailer (shown at Comic Con and available soon) and on the official Twitter that Matt Smith, David Tennant and John Hurt will face the Daleks. 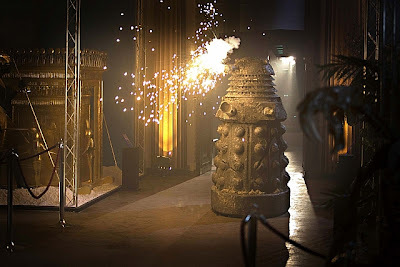 It is currently unknown how important the Daleks will be to the plot, however. This also joins the news that the Zygons will feature in the 50th.